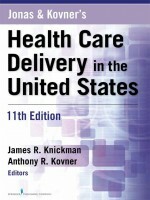 This fully updated and revised 11th edition of a highly esteemed survey and analysis of health care delivery in the United States keeps pace with the rapid changes that are reshaping our system. Fundamentally, this new edition presents the realities that impact our nation’s achievement of the so-called Triple Aim: better health and better care at a lower cost. It addresses challenges and responses to the Affordable Care Act (ACA), the implementation of Obamacare, and many new models of care designed to replace outmoded systems. 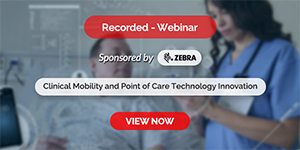 Leading scholars, practitioners, and educators within population health and medical care present the most up-to-date evidence-based information on health disparities, vulnerable populations, and immigrant health; nursing workforce challenges; new information technology; preventive medicine; emerging approaches to control health care costs; and much more. This journal is designed for graduate and advanced undergraduate students of health care management and administration and public health, the text addresses all of the complex core issues surrounding our health care system in a strikingly readable and accessible format. Contributors provide an in-depth and objective appraisal of why and how we organize health care the way we do, the enormous impact of health-related behaviors on the structure, function, and cost of the health care delivery system, and other emerging and recurrent issues in health policy, health care management, and public health. The 11th edition features the writings of such luminaries as Michael K. Gusmano, Carolyn M. Clancy, Joanne Spetz, Nirav R. Shah, Michael S. Sparer, and Christy Harris Lemak, among others. Chapters include key words, learning objectives and competencies, discussion questions, case studies, and new charts and tables with concrete health care data.